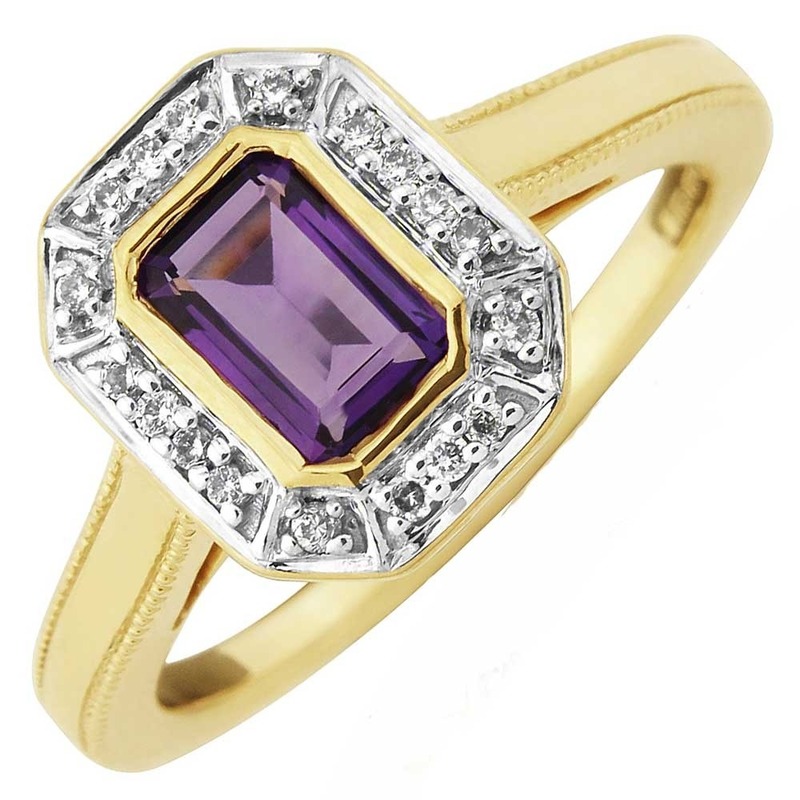 An alluring Amethyst has been emerald-cut and tension-set within a snug yellow gold bezel. 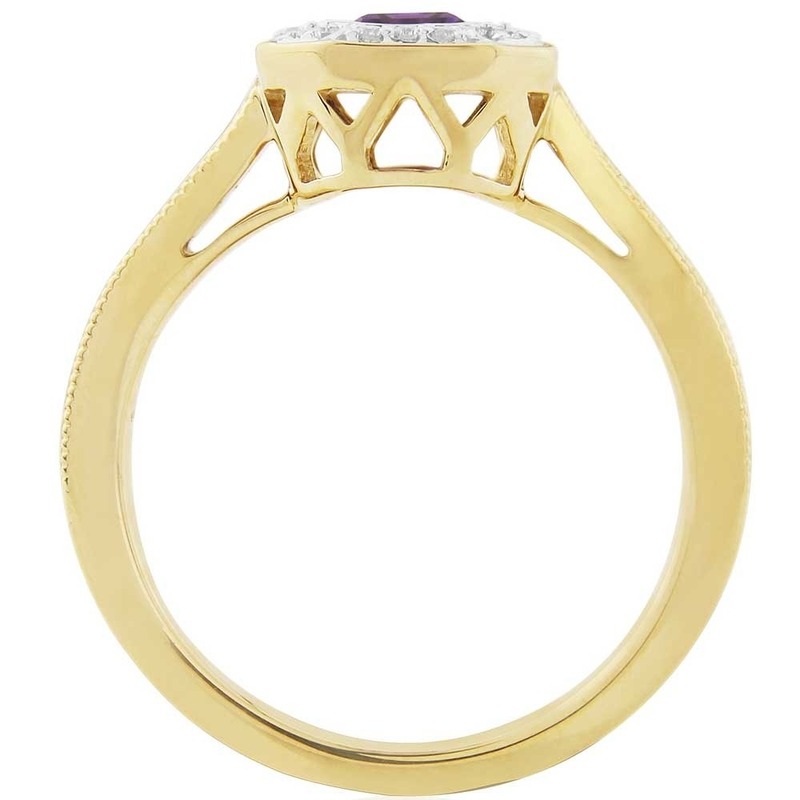 Eighteen round brilliant Diamonds have then been inlaid into a white gold surround, itself set into the thematic yellow gold, to provide an assortment of textures and hues to attract attention with every movement of your hand. For a finishing touch, the band has a milgrain edge to blend the piece together from shoulder to shoulder.